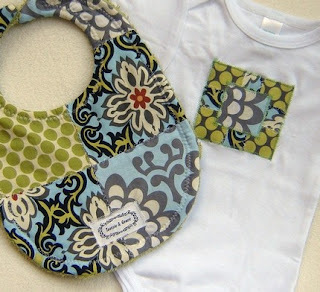 A cute baby ensemble for your little one or for someone else's--what a great gift set! I especially love the sets made with Amy Butler fabrics. Yum.